Another year, another crop of memorable music.There were plenty of excellent releases since January, but only a chosen few made it into Arts and Culture Editor Alex Bieler's year-end list. 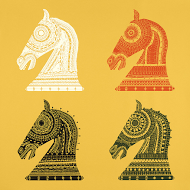 Here are his Top 10 albums of 2014, as well as some honorable mentions. 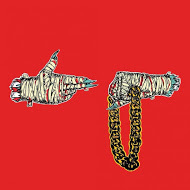 I had high expectations for Run The Jewels 2, and the hip-hop super-duo of El-P and Killer Mike easily exceeded them. If songs could bruise you, the titanic twosome's second album would leave you black and blue after a furious 40 minutes of hard-hitting tunes. El-P and Killer Mike don't hold back on RTJ2, taking on crooked cops, and trading verses with Rage Against The Machine's Zach de la Rocha, all while sounding like they're having more fun than anyone in the business. It's appropriate that Annie Clark's fourth album as St. Vincent was self-titled, because it was on her latest release that she fully evolved into a rock goddess. The sweet-yet-sinister-sounding artist has always impressed with her stunning vocals and ripping riffs, but St. Vincent really grabs your attention on an album that is, as I wrote in a review back in March, "a musical marriage of earthly desires in a digital age." In 2014, Clark treated us to a hypnotic balancing act, pairing rough sonic textures with soothing coos and robotic rhythms with very human emotions, and the results are wonderful. 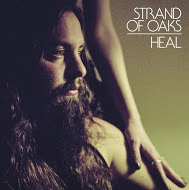 Timothy Showalter always had a knack for storytelling in his earlier Strand of Oaks material, but he only had to look in the mirror for his autobiographical turn on this year's HEAL. The former folkie turned up the volume on his latest album, both emotionally and sonically, taking an unflinching look into his personal life to provide one of the most honest albums in 2014. Each song seems perfectly placed, from the rip-roaring lead track "Goshen '97" to the hopeful closer "Wait For Love," making for an album that you can't help but connect with. 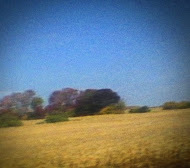 After watching Sun Kil Moon's Mark Kozelek one-sided feud with The War on Drugs' Adam Granduciel play out over the latter half of the year, it would be easy to disregard Benji as the work of a mean-spirited bully. However, doing that would be a disservice to Kozelek's album, which was one of the most heartbreakingly open works this year. Kozelek's world-weary voice and gentle finger-picked guitar make for a gorgeous soundtrack to various details in his life, from the tragic death of his second cousin to standing in line at Panera Bread. 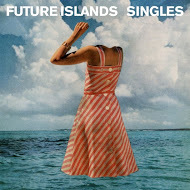 Samuel T. Herring put Future Islands on the map with a memorable performance of song-of-the-year candidate "Seasons (Waiting on You)" on The Late Show with David Letterman. Herring's memorable dance moves made for a meme-worthy showing, but it was the combination of his bellowing vocals, shifting at times from a confident croon to a guttural growl, and the band's sparkling synth-pop that shone brightest in 2014. Singles is, like the name suggests, packed full of tremendous songs, with Herring's passionate delivery leading the way. 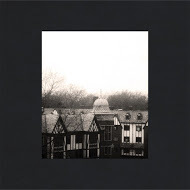 Cloud Nothings' transformation from a sugary pop-rock band into a gritty rock outfit was remarkable, but the Cleveland crew's job following up the excellent Attack on Memory with latest album Here and Nowhere Else might be its most impressive yet. Cloud Nothings main man Dylan Baldi continued to pump out intense tracks, producing squalling rockers like "Pattern Walks," while keeping just a touch of his pop background to turn glorious closer "I'm Not Part of Me" into one of the most rousing songs of the year. 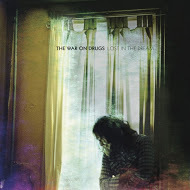 Listening to The War on Drugs' Lost in the Dream is almost like watching a movie scene where the proverbial good guys take the long drive out through the American heartland: Just plug in some headphones, close your eyes, and you're there. Drugs' frontman Adam Granduciel (yes, the victim of the silly Kozelek feud from album No. 4) channels Tom Petty and Bruce Springsteen on Lost in the Dream, adding a touch of psychedelia for good measure on the excellent, cinematic album. Cymbals Eat Guitars showed plenty of promise over the course of its first two albums (see: "…And the Hazy Sea"), but it's on LOSE that the New Jersey band really come together into something special. Joseph D'Agostino and his band mates have matured since Cymbals Eat Guitars was founded back in 2007, and it shows on the album's sprawling nine tracks. 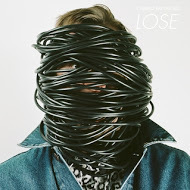 There's a resilience to LOSE, an album that deals with death and depression, and that sense of strength turns LOSE into a triumph. It took me a few months to realize it, but Saintseneca's Dark Arc is a bit like a roller coaster. You get strapped in, experience the slow build that is the beginning of opener "Blood Bath," and just over a minute in, you experience the rush, this time in the form of harmonies and thundering foot stomps. After that, you experience exhilarating twists and turns as you follow Zac Little's mesmerizing lyrics and the band's stirring arrangements. Owen Pallett received a lot of press for his work on the Oscar-nominated score for the film Her with Arcade Fire's Will Butler, but it wasn't much of a surprise to fans of the Canadian musician. He continued his streak of excellence on 2014's In Conflict, where Pallett continued to show off his gift for lush, beautiful compositions, swells of strings supporting the personal, and, at times, ominous songs on his latest album. 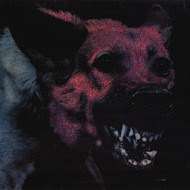 Protomartyr's Under Color of Official Right is not a happy album, but that doesn't mean that it's not fun. Despite having created an album with themes of indifference, corruption, and violence, the Detroit post-punk band still manages to make these songs fun. Joe Casey and his band mates aren't surprised by misfortune – hell, they're expecting it – but that doesn't mean that they can't make bleak messages be pretty damn enjoyable. You're Dead! is not an album meant to be digested in small doses. Apart from the fantastic Kendrick Lamar-featured "Never Catch Me," it would seem odd to dissect each piece, as each of his free-wheeling sections add up to an intriguing mix of hip-hop, jazz, and drum 'n' bass. 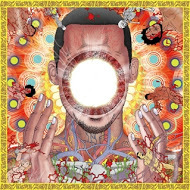 What results is a fascinating sonic experience, as Steve Ellison, the man behind Flying Lotus, examines life after death. Richard D. James may be a sonic architect, but he's also demolition man. The massively influential electronic artist behind Aphex Twin has made a career breaking down genres, using those broken-down sounds to reconstruct mind-bending structures of sound. 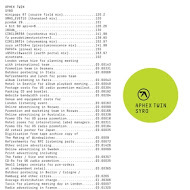 On Syro, the first Aphex Twin album in 13 years, he's tearing down the genre he helped create, assembling songs that seem simplistic at first, but keep providing new surprises after every listen. 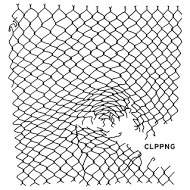 CLPPNG is one of the more fascinating albums I listened to this year. From the very start, you're treated to the minute-long "Intro" featuring rapper Daveed Diggs ripping through rhymes over high-pitched feedback, the beginning of an uncompromising trip into experimental hip-hop. 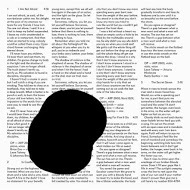 It's too uneven to make the top 10, but CLPPNG goes big on songs like the alarm clock-aided Get Up and the speed Story 2, making for some of the most creative and original songs in 2014. Now on album No. 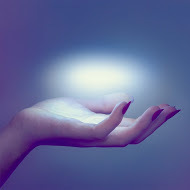 8, it's not shocking that Spoon would put out a good release. In fact, expectations have become so high that 2010's Transference, a very solid album, was met with some disappointment because it didn't quite reach the same heights as past efforts. That's not a problem for They Want My Soul, as the detail-loving band shows how good it is a capturing a mood, particularly the meditative contentment of the shimmering gem that is "Inside Out." There's a safety in Spoon's music, and that's because the band knows how to reach your soul through song.